The item No. 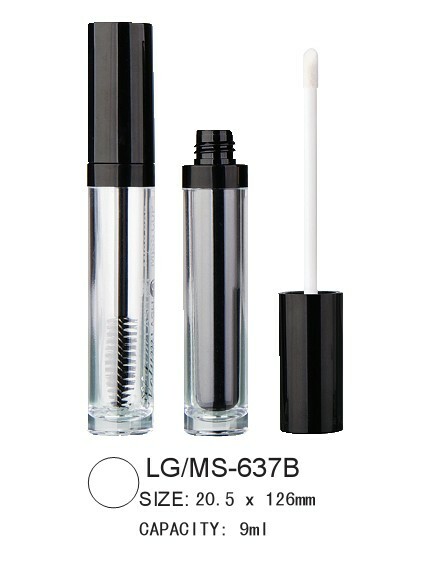 of this cosmetic lipgloss/mascara packaging is LG/MS-637B.The MOQ of this round lipgloss/mascara packaging is 20,000pcs. Any color is available for this cosmetic round empty lipgloss/mascara packaging. Below is more detailed basic information of this round empty lipgloss/Mascara Container. Looking for ideal Round Empty Lig Gloss/Mascara Tube Manufacturer & supplier ? We have a wide selection at great prices to help you get creative. All the Empty Round Lip Gloss/Mascara Case are quality guaranteed. We are China Origin Factory of Cosmetic Round Lip Gloss/Mascara Container. If you have any question, please feel free to contact us.